Deal Categories: BCAA.Stores: Muscle and Strength. Buy one Primeval Labs Ape Juice Amped (30 serv) & Get one free for $19.99. Deal Categories: BCAA.Stores: Supplement Hunt. 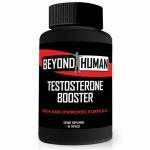 Supplement Hunt is running a buy one Beyond Human Test Booster (60 caps) and get one free for $19.99 when you use Supplement Hunt coupon code ‘beyondtest2‘ during checkout. Even with shipping, this is the best total price we saw. 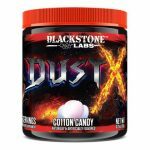 Deal Categories: Pre Workout Products, BCAA, and Fat Burners and Energy.Stores: DPS.